Italian made by Glem. Italian Designed by Glem. Designed for Australia. Glem - regularly reported as the number one selling cooker brand in Italy for the last 10 years. This series is our latest in premium cooker development. The cooktop has a 40mm square profile with a single piece rear splashback making it a simple wipe down clean. The high powered wok burner is mounted on the left hand side to allow clearance for a full sized wok or pan and there are 2 large burners, a medium burner and a small burner. Choice of 3 oven options - gas, electric or the Bi Energy model which is available exclusively through Harvey Norman. The Glem value models. Well priced with large capacity ovens and easy to use functions. 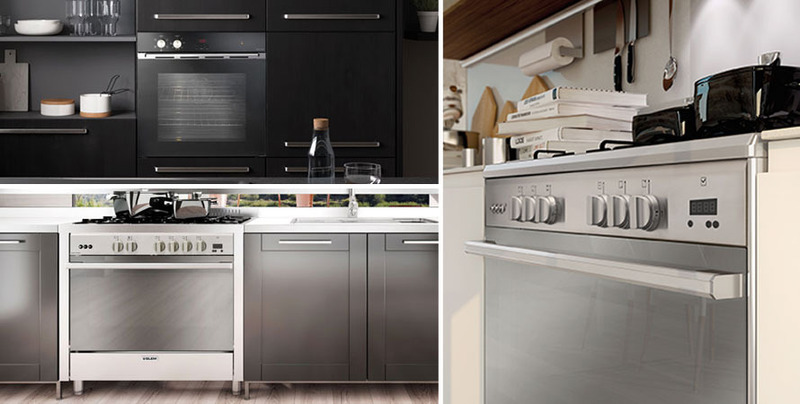 The Glem built-in oven range redefines contemporary design and technology for today’s kitchen. The entire collection has been designed to give home chefs a choice of high-quality appliances that are easy to use and clean. The gas oven is something special and leads the market in temperature control and cooking performance.